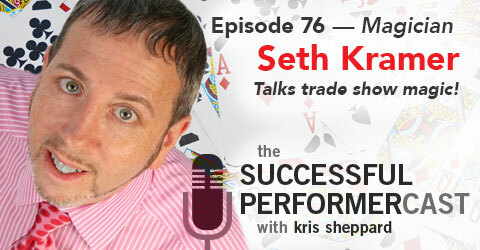 In this episode, Seth Kramer brings us insight into the ins and outs of trade show magic! Seth Kramer is a trade show, traffic-stopping ninja! Having been in the game for over 30 years, Seth spends much of his time in trade show booths selling his client’s products using magic. In addition to this he also does other corporate events like hospitality suites, sales meetings, and even customized special events. Every day of every week holds something new for him and he’s certainly up for just about any challenge! I’d like to recommend a podcast that I’d been listening to for a couple months now, called Stories of the Magic by Randy Crane. In my opinion, nobody has been able to bottle magic better than Walt Disney and if you’d like to get more into his mind, this is the show for you! 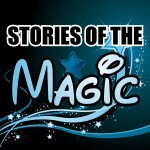 Stories of the Magic is a positive and story-filled Disney podcast offering positive stories from Cast Members, Imagineers, artists, actors, and more—including guests—promoting a mutual love of Disney, celebrating and preserving the Disney Magic, and inspiring people to live their dreams just as Walt Disney did. If you love what you do, you won’t work a day in your life. • Tells how he got into performing at trade shows. • Being mentored under Bob Elliott and Bud Dietrich. • The company isn’t paying you to “do magic” but to stop traffic at the trade shows, amplifying their message, and getting leads for the company. • Working with the company to develop the message they want presented from their booth. • Tips to boiling things down to one concise message for his pitch. • Building a custom act for his clients and demoing it for his clients. • Talks about gathering crowds and keeping them at the booth. • How important booth location is and spots to avoid. • Getting people to step in closer to lock in the people in the front rows. • How he recommends people break into the trade show industry today. • Using a aerobics stepper as a riser to get you above your audience. • Talks about his Modern Trade Show Handbook. Having to perform him show in Germany without knowing any German. This involved an impromptu translation from the conceriege at his hotel and fast thinking! • Talks about getting started performing professionally. • Tells how he went to law school and decided it wasn’t for him. • Performing at every opportunity. • Making people aware of all the services you offer. • Be a specialist. Not a jack of all trades. • Tailoring your show to your clients. There are really no secrets in this business. Keep educating yourself. Animoto helps you make video with stills and music. Where can we find Seth Kramer?